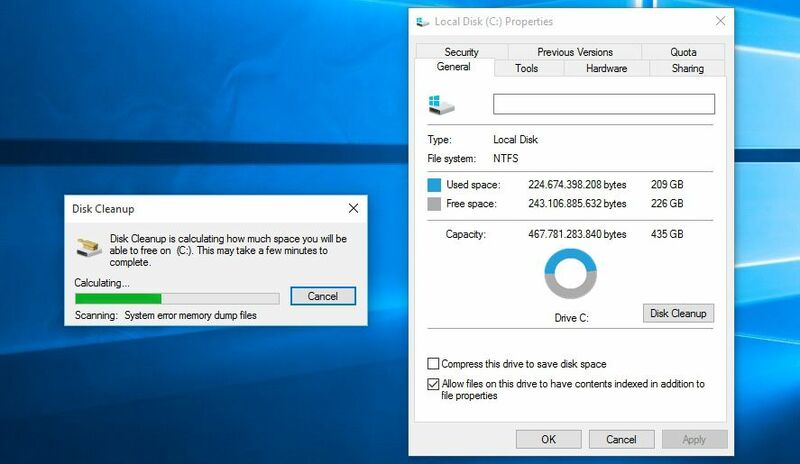 One thing you can do after installing Windows 10 is get rid of the all the accumulated temporary files, as we explained in this article. The problem is that lots of times the folders where these are stored are blocked by the system and programs like Unlocker or LockHunter still aren’t working properly on the new Microsoft OS. But what a lot of people don’t know is that Windows’ own explorer hides a tool that can get rid of them. There are two kinds of folders you can get rid of that are found at the root of your hard drive: the folder $Windows.~BT (o ~WS), where your temporary install files are stored, and Windows.old, with the discarded system files from the previous version of Windows you had installed. 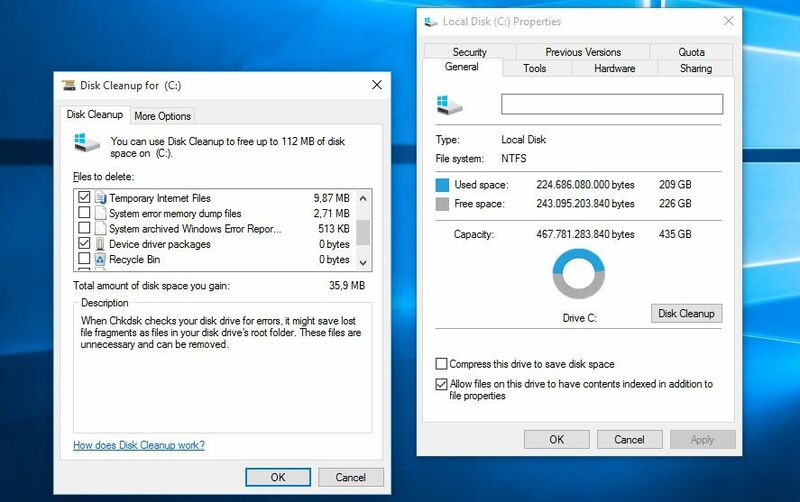 For one month after installation, Windows 10 offers the possibility to be uninstalled to restore your system to the previous version, but if you know you don’t want to do that you can get rid of that folder. 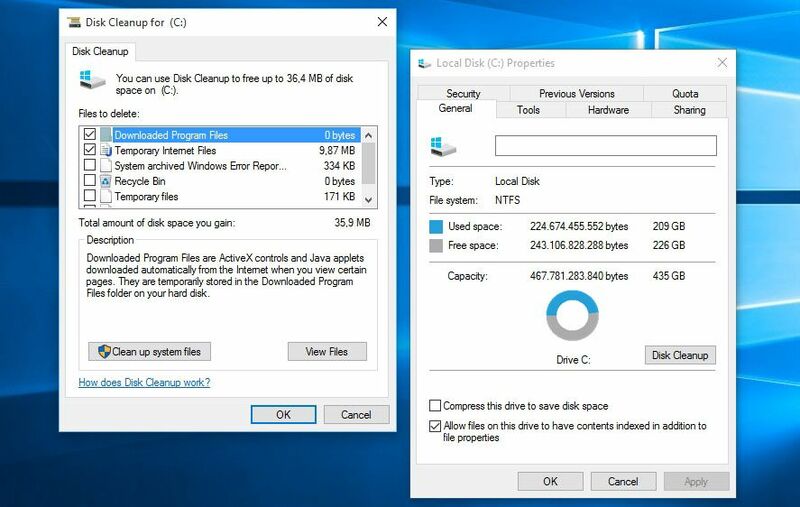 From the file explorer, you’ll right-click on the drive when you have your operating system installed and click on Properties. In the window that opens you’ll see the General tab and then click Free up space. After a few minutes you’ll get a list of the system items you can delete, although that list won’t include the temporary files that concern us here. For it to detect the temporary folders and prior installations you’ll need to click on the bottom button that says Clean system files. That done, you’ll have a new window similar to the previous one but now including Prior Windows Installations and Temporary Install Files, which together may occupy more than 20GB of space. Tick the boxes for the items you want to get rid of, click Accept, and within a few moments you’ll have all that space available.